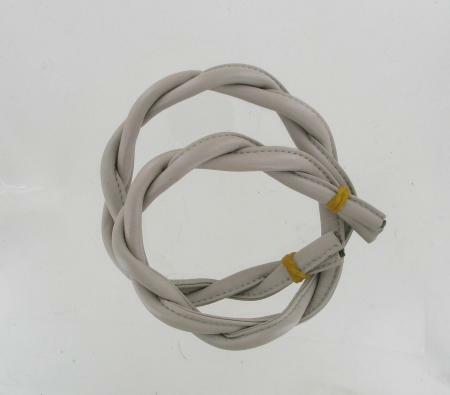 65cm Twisted Leather Handles Beige. This soft rolled leather strapping was made for twisted handles on handbags.You may notice the ends are held together with a band. The idea is that these handles are dropped in the seam and stitched in place keeping the twist effect. This version is beige. This handle is sold individually so if you require a pair please select 2 in the drop down menu.